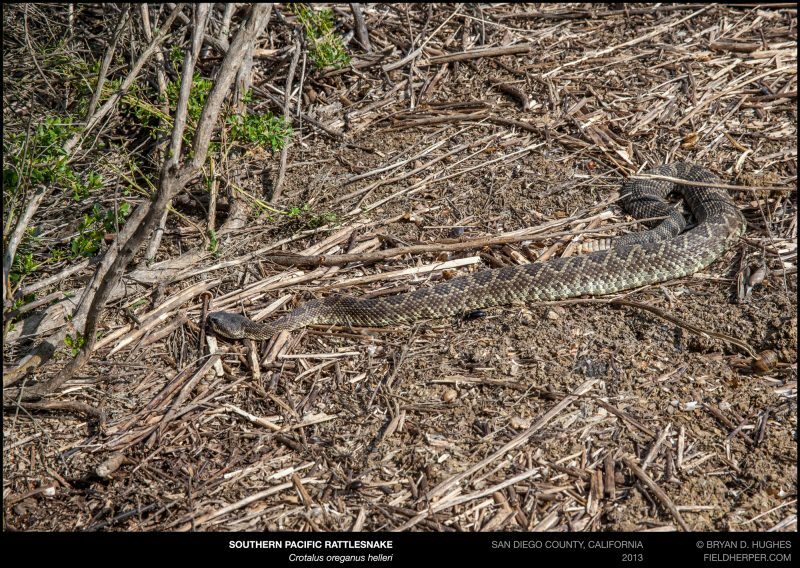 This is the fourth Southern Pacific Rattlesnake I’d ever seen, generously shown to us by the late Kent Van Soy in the San Diego area. These snakes are generally regarded in the area as trash snakes, being a nuisance to boa hunters with bite-able fingers, but I think they’re amazing. 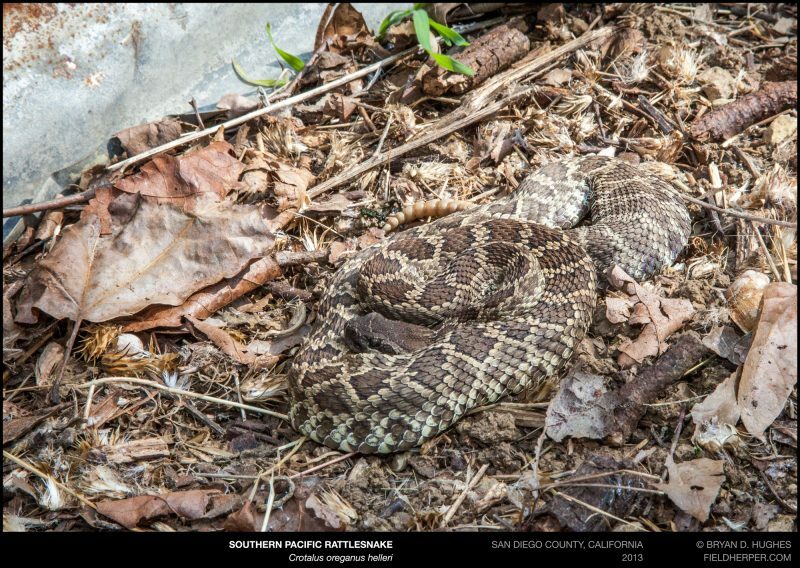 I’ve always considered the Western Diamondback to be an example of the most adaptable of rattlesnake species, being found across a wide gamut of harsh environments and niches. These snakes, however, manage to thrive in well-developed urban areas, taking refuge in narrow drainage corridors without any access to open wild lands. In the right areas of Southern California, any patch of ground without pavement could be home to a healthy colony of SoPacs. One man’s trash snake is another’s treasure, as this one was to our group. This entry was posted on Monday, May 16th, 2016 at 9:41 pm	and is filed under Field Herping, Field Trips. You can follow any responses to this entry through the RSS 2.0 feed. You can leave a response, or trackback from your own site.